Who want dark things? Answer is no one. shy for your dark under arm. Sometimes you are scared of raising your hand when you wear sleeveless top. Sometimes people avoid sleeveless dress due to this dark under arm. Many become so embarrassed to their partner during their intimate time. So everyone wants a fair and brighter underarm. Before go into details of the procedure that will help you to whitening your under arm, we must keep in mind that usually the dark color of under arm skin is not USUALLY a medical condition. Rather it is skins response to certain elements. Now we will discuss some very easy way to make your underarm white and bright, devoid of black spot. We will try to discuss only with those way which can be done easily. Things are available at home and minimum costly. So, first please avoid any type of hair remover. Shave with good razor to remove underarm hair. As because in response to this cream skin become darker. Take your shower daily. Don’t miss it, particularly in hot weather. If you are taking birth control pills then stop it. It may cause hormonal imbalance to body which may lead to darken your underarm. Keep your weight under control. Be aware of type 2 diabetes melitus. Because in type 2 diabetes, high levels of insulin can may cause over production such skin cells which may cause pigmentation. Give a look to your dress. Are you wearing too much tight dresses? If yes, avoid this tight type of dresses. Try to wear such dresses which allow good ventilation to your underarm. Poor ventilation is one of the causes of dark underarm. We do use deodorant but make sure that it is alcohol free. Alcohol containing deodorant can cause darkness to skin. Potatoes have mild bleaching agent. Strong bleaching agent will cause irritation. So potatoes with its mild acidic property will work well. Rub some slice of potato in underarm and apply juices in that dark area. Let it dry for 20 minutes and that wash with clean water. For good result, try this twice daily. Lemon is easily available. It also can be used. 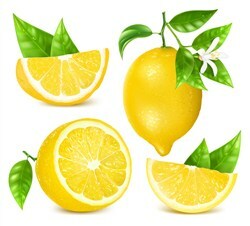 Apply lemon juice in underarm and let it dry and wash it out. It will really work well. Its acidic property will also help to kill germ of that area. In the same way, you can use cucumber and milk also. Many other things can be done which you will find in internet. But we avoided those as those things are not available at home or may be costly. Last of all, if you have tried all of these for a certain time but you can’t get rid of dark underarm then consult with your doctor for any medical condition. Take a picture of your underarm. Try these methods for three months.